FDNY ENGINE 40, ACTING FDNY ENGINE 35, RETURNING TO QUARTERS ON 3RD AVE. IN HARLEM, MANHATTAN, NYC. 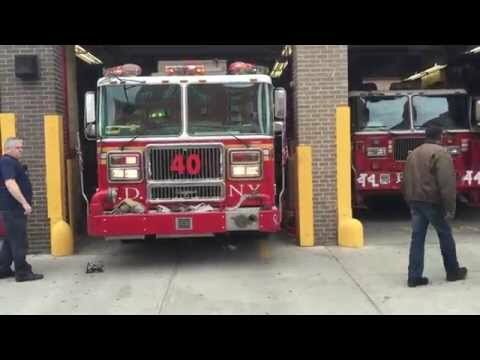 HERE YOU WILL SEE FDNY ENGINE 40, ACTING FDNY ENGINE 35, RETURNING TO QUARTERS ON 3RD AVENUE IN THE HARLEM AREA OF MANHATTAN IN NEW YORK CITY.